Rufus, the popular free, open source tool to create bootable USB drives from Windows, has received an update to version 3.0, which includes a UI redesign, switched downloads to SSL, and more. 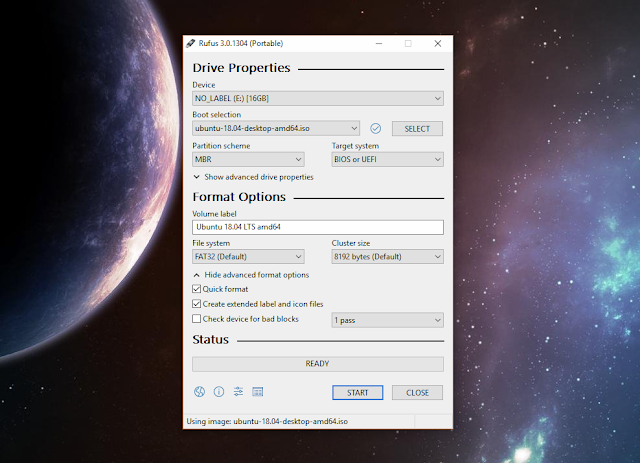 While it's a tool that runs on Microsoft Windows, I thought I'd cover this application on Linux Uprising because Rufus can be used not only to create bootable Windows drives from ISO files or disk images, but also create bootable Linux USB drives from Windows, format USB drives, and perform bad blocks checks. And it's free open source software. Not everything in Rufus 3.0 is an addition or improvement though. With this release, Rufus has dropped support for Microsoft Windows XP and Vista. You can still use Rufus on XP or Vista but for that you'll have to use an older Rufus version. While there are other bootable media creation tools out there, Rufus claims to be a lot faster. The Rufus GitHub page mentions that Rufus is able to create a bootable USB pen drive from a Windows 7 ISO file almost twice as fast as UNetbootin and even faster than the Windows USB/DVD Download Tool. Even if you run Windows and you don't plan to switch to Linux, you may still find Rufus useful. Not just because, like I mentioned above, it's a lot faster than the Windows USB/DVD Download Tool, but because you can create a bootable USB pen drive for some other Windows version, so you can test some website or application you're working on, on a different Windows version. Or better yet, use it to create a bootable Linux USB drive from ISO - not just to test websites or whatever, but for utilities like Clonezilla (for cloning / backing up partitions), Gparted (which comes preinstalled on live install images for many Linux distributions), and others.